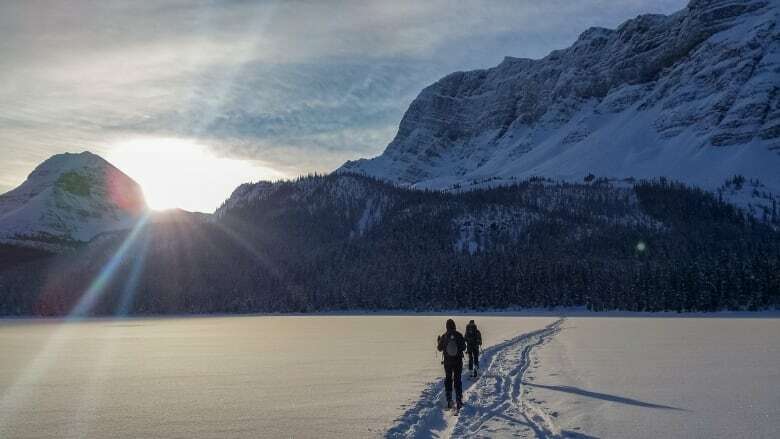 Outdoor experts say more and more inexperienced adventure-seekers are heading into the backcountry, inspired by pictures they have seen online. It was another busy year for local search and rescue teams, and social media is being blamed for at least part of the increase. Mike Danks with North Shore Rescue said they had about 130 calls in 2017, about the same as last year, which is about a 30 per cent increase over previous years. And he says social media has contributed to some of that increase. "We get people going up to St. Mark's Summit not prepared for winter conditions, because the picture they saw was from the summer," he said. St. Mark's Summit is in Cypress Provincial Park. Danks says they recommend people do proper research, and if they don't have experience in the area they are headed, find someone who does. But that is something Brian Jones, owner and lead guide of the Canada West Mountain School, says is happening less and less. He has been teaching avalanche safety and mountain skills courses since the 1980s. The school teaches avalanche safety to about 1,000 people each year. "Historically, people would come in and they would get a bunch of experience with groups, with clubs, with mentors, with more experienced people and slowly work their way up," Jones said. "Then they would come and get a higher level of training and that seemed to be the natural progression for years. Now, what we see is people coming into the course and that is their very first step. So, they literally have zero experience," he said. The B.C. Mountaineering Club hopes to offer around 80 courses this year and run close to 600 events in the backcountry. Club president Wilson Edgar says his members have run into an increasing number of inexperienced people. "Sometimes, they bang into individuals on different trails where people are in running shoes or do not have sufficient supplies. They don't have the ten essentials with them. They do not know which way to be going on the trail," he said. "It is a variety of things they see." "Our wish is these people come out to educational sessions or go and join a club like BCMC and become better prepared and informed and know what to expect," he said. But Brian Jones said many just want to get to the places they see on social media right away and don't want to take the time to get the needed experience. "It is socially driven. It isn't even really activity driven. They don't even really know what they are getting into. They just know their friends are doing it and it sounds fun," he said. And he said B.C. 's backcountry is fun, and he wants to see more people exploring and enjoying it, but says education is vital and cannot replace experience. He also points out that while the pictures online of views from the final destination may be beautiful, they don't show what it took to get there. They can also be intentionally deceiving. "Someone will post a picture of their favourite spot, but don't want it to become popular so they imply or outright make a false statement that it is a picture of a different location all together and then we have people running around the mountains trying to find that spot," he said. Are social media encouraging bone-headed nature stunts?